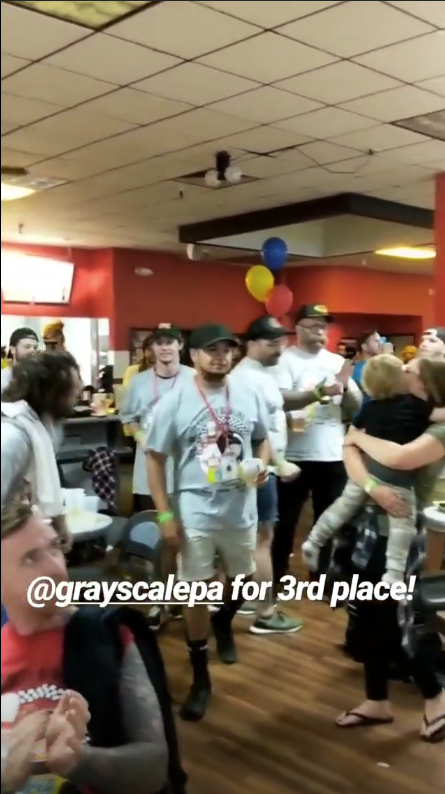 Last night it was the Vans Warped Tour Annual Charity Bowling Tournament. 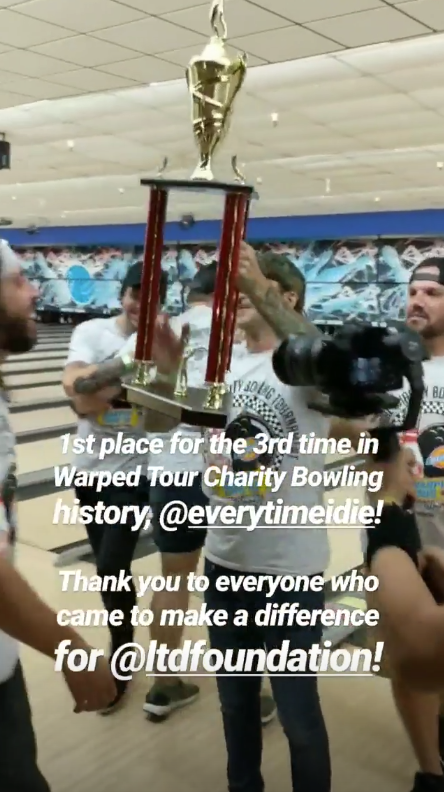 The annual event where bands on the Warped lineup compete against each other to benefit charity. They invite fans to join their team, and have a pretty bloody good time. Bands that valiantly competed in this year's event included Don Broco, As It Is, We The Kings, Every Time I Die, With Confidence, The Used, Senses Fail, Waterparks and MORE. It looks like one heck of a good, wholesome time. 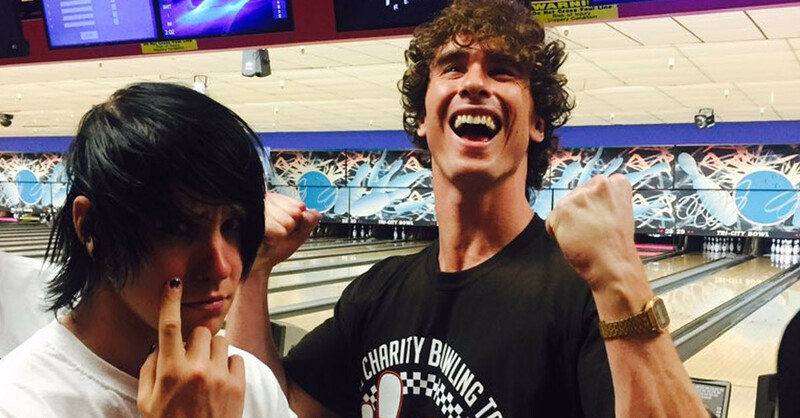 The biggest rivalry of the day was between As It Is and Don Broco. We couldn't possibly pick a side. Anyone else have a hankerin' to go bowling? Had a rip of the lead singer of the used’s vape. Cool. Peace out warped bowling.